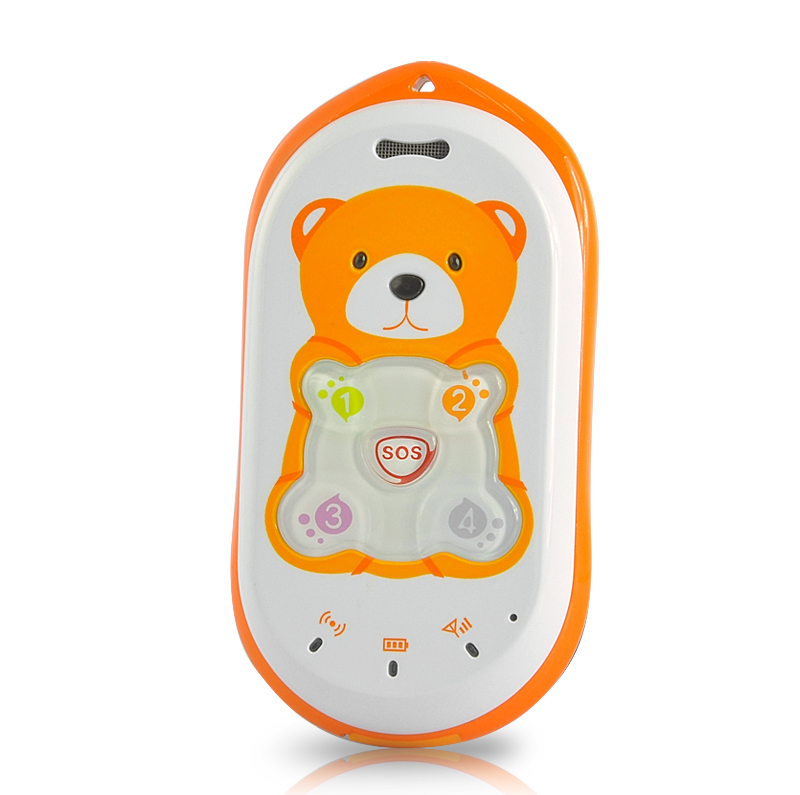 Successfully Added Children's Mobile Phone - GPS Tracking, SOS Calls, Voice Monitoring to your Shopping Cart. GPS Tracker Phone designed to look like a compact mobile phone while featuring SOS calls is ideal for children or the elderly. At only one third the size of a normal mobile phone, the tracker phone is also a full featured GPS tracker using the latest SIRF Star III GPS Receiver. This GPS Tracker Phone retains only the essential features of a cell phone, which is to make phone calls when they need it. With only 5 preset phone numbers available including 1 emergency SOS number and no SMS or Internet Surfing capabilities, your kids are less likely to spend hours of their time and expensive phone bills on unnecessary phone calls, excessive text messages or inappropriate web contents. When making an SOS call during an unexpected emergency situation, the tracker phone will also send out a text message containing its location. Real time positioning information can be obtained by sending a SMS message to the tracker phone any time during the day. Set the tracker phone to periodically report its location to you, so you know exactly where your kids are. There is a voice monitoring function that allows you to instantly listen in on conversations via this GPS tracker phone. Can insert one GSM SIM card to be used to make calls that will use quad band second generation networks such as 850/900/1800/1900MHz, therefore having worldwide use. The battery that is used is 600mAH; which is more than enough for this phone’s capabilities and can last 1 to 2 days on standby. Nowadays, mobile phones come with many unnecessary features that are dangerous, irrelevant or not suitable for children. Not only excessive SMS and phone calls make your child prone to disrupted sleeps, restlessness, stress and fatigue, the widely used Internet surfing feature may also expose them to violence and adult materials on the web. Seniors citizens and young children, who normally have difficulty remembering long phone numbers, can call any preset number with only 1 button press. Tourists can also take advantage of its small size while enjoy the benefit of knowing exactly where they are. This ultra-compact GPS Track Phone with elegant construction and easy to use features is an ideal communication accessory. In stock right now and available at an incredible wholesale price. Brought to you by the leaders of electronics devices and cell phones, Chinavasion. Great item, arrived very quickly. Would buy from this seller again. - The function where you receive the address details (POSITION) by SMS doesn't work.You receive a link/URL that you need to enter in your browser. My wife doesn't have a smartphone and she thought she would receive the location by SMS (as described in the manual). Maybe this doesn't work in Europe? From a functional perspective, excellent product. Call & tracking functions work perfectly. Only points deduction is the battery life. Phone lasts fully charged about 20 to 24 hours. After that is starts sending SMS-es that battery is about to be empty (which is good), but happens to soon. Just recieved via HK Post. Everything (packaging, delivery, items) is OK. The phone is more cute than it looks in the picture - good quality plastic and colors.